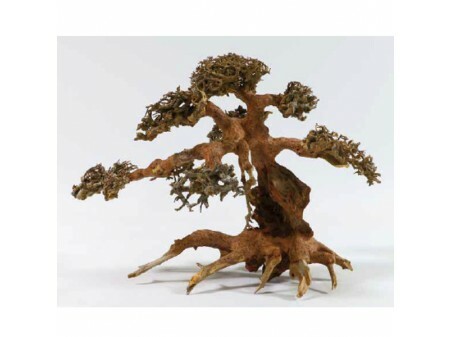 Sized 15-20cm Aqua Bonsai lifts aquascaping to the next level. Every bonsai is a handmade unique piece of art. The bizarre roots seem to have grown for 100 years and give stableness to the trees. The trees itself look as if they were formed by the wind for decades and the fine crowns are built to planted with moss or other other water plants for an even more realistic look. Aqua Bonsais help create professional looking layout rocks and plants complement them.